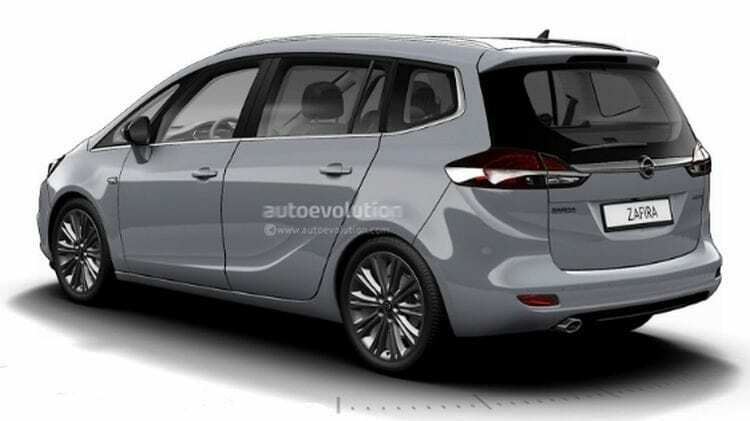 Pictures of the new Opel Zafira 2017 have “leaked” on social networks. However, the launch of the minivan from Rüsselsheim is scheduled for the second half of this year. It may be noted that the restyled model, “anfas” is inspired by the Ampera, and is replaced by a new design, which is largely characterized by the new Astra. Opel minivan is equipped with a sportier front bumper, revised grille, and restyled headlights. It seems there are not many changes behind the A-pillar, but what we are expected to see is a new range of light alloy wheels. Significant changes are taking place inside the cabin because the new Opel Zafira 2017 has a three-spoke steering wheel, a revised dashboard and more modern instrument cluster with digital display. The center console, which was once characterized by a lot of buttons, now is replaced by a completely new infotainment system with a larger screen that allows you to control many car features. We are also getting modern connectivity features – Android Auto and Apple CarPlay are supported, and you can connect your favorite device easily. We still do not have confirmations for the engine lineup, but the Zafira will adopt a new 1.4-liter turbo petrol and 1.6-liter diesel unit. Power, performance, and fuel economy figures will be announced a bit later.